A lot of hostile and trouble-making folks who also excel in ignorance (one such group is the "Answering-Islam" lot) ask why Muslims "pray to the Kaa'ba and prostrate before it?" Many have gone to the depth of stupidity presuming that Muslims worship the Kaa'ba which is made of stones, therefore they prostrate before stones and are idol worshipers. Let me clarify these nonsensical talks once for all. Muslims do not pray to the Kaa'ba nor do they worship the Kaaba and neither do Muslims prostrate (or perform sajood) to the Kaa'ba. They simply face the Kaaba during prayers. Believers pray to Allah only, they worship Allah only and prostrate before Allah only. During the procedure of prayer, they turn their faces towards the Kaa'ba as a gesture of respect to the first place for Monotheistic worship constructed by Prophets Abraham and his son, Ishmael (peace be on them) which still stands and will do so until the Day of Resurrection. Thus, there is a difference between facing the Kaa'ba and praying to the Kaa'ba. There is a huge difference between facing the Kaa'ba and prostrating to the Kaa'ba. So kindly do not lose your common sense. The instruction of facing the Kaa'ba during prayers as ordered in the Noble Quran is a formality to symbolize the Monotheistic Faith of Islam and differentiate it from all other religions. Facing the Kaa'ba during prayers does NOT mean worshiping it. It's simply symbolic of respect and also symbolic of praying in the Kaa'ba. If someone does not know the direction of the Kaa'ba, this doesn't mean that person can use this issue as an excuse to miss their prayers. "Unto Allah belong the East and the West, and whithersoever you turn, there is Allah's Countenance. Indeed! 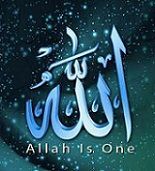 Allah is All-Embracing, All-Knowing." (2:115). As stated, facing the Kaa'ba during prayers is basically symbolic. Allah Almighty exists everywhere. Thus, if you are at a place and you don't know in which direction the Kaa'ba is located, then simply pray facing any direction, but do not miss your prayer. And your prayer MUST be purely Monotheistic addressed to Allah only. Verse 2:115 is enough evidence of the fact that Kaa'ba is NOT an object of worship. A lot of Islamophobes have also questioned why Muslims kiss the black stone in the Kaa'ba. The custom of kissing the black stone is NOT in the Quran at all nor was it followed by the Prophet (pbuh). This is one of those stories that has crept in from Hadith traditions through the medieval ulemas and imams. Although the Noble Quran has mentioned the entire procedure of Hajj, it has NOT mentioned anything about the black stone let alone kissing it. The black stone can only have a practical value, that is, it marks the spot from where one can start and finish each tawaf (circumambulation), facilitating to count the number of times one has performed the tawaf around the Kaa'ba. The black stone has NO other importance other than this. For details read Black stone myths. Many thanks dear brother. Much needed, well explained info. I have come across countless non-Muslim sites claiming "Muslims worship the stone-built Kaa'ba." When people are so hellbent to act senseless, it's pointless talking to them but let them know the truth. Love it. Excellent one. InshAllah, I hope this helps to clear the misunderstandings in the minds of those who are puzzled or nurturing wrong ideas because of the gross misinformation spread by thoughtless non-Muslims. Thanks brother.